The Delta School offers individualized, comprehensive services designed to meet students' educational, social and emotional needs. The program provides a new beginning for a child's education and is designed to encourage life-long learning. 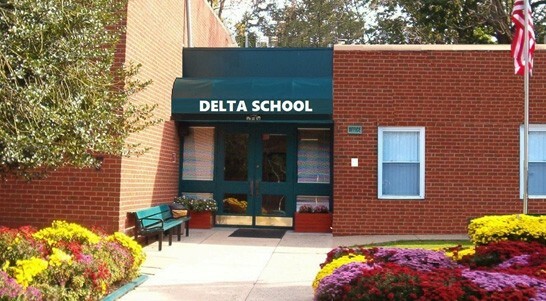 The Delta School provides a positive learning experience for students 5 to 21 years of age. The program is designed to meet each student’s needs and teach them strategies to become successful learners. Numerous therapeutic services are available at the Delta School that enhance student’s learning experiences and produce positive outcomes. Social workers and guidance counselors provide individual and group therapy that addresses family, social, school and work challenges. The Delta School provides a low staff to student ratio in a highly structured, supportive classroom environment. Small classes promote improved academic performance and greater student engagement. Delta’s School to Work Transition Program offers students the opportunity to prepare for the workplace, both on and off campus. Students learn the skills and personal qualities required to perform effectively on a job. The Delta School offers an Extended School Year Program (ESY) to ensure continuity of services. The program is available to Delta students as well as students from other schools who are deemed eligible by their Local Education Agency. To learn more about Delta's ESY service, see our Programs and Services page. Extended School Year begins on July 2, 2018. This eight week program runs Monday through Thursday, from 9 a.m. to 2 p.m.